buynow/bloglater: What have I been up to? 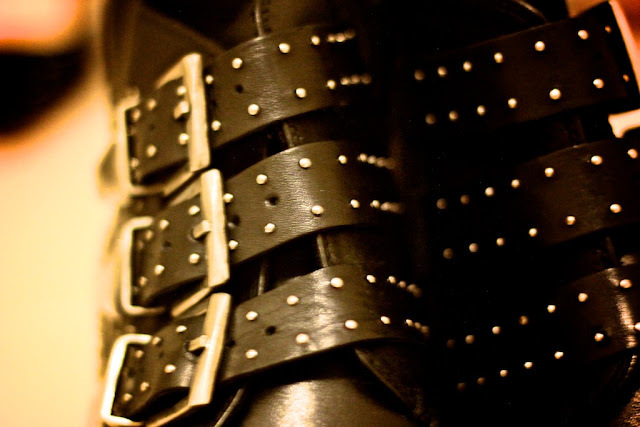 I just bought the Nighthawk boots last week and I CANNOT possibly wait to wear them and moreover, see how you combine them!!! I am thinking of buying them but I am in between sizes (5-6)and have no way of trying them on...how do they come up regarding the sizing? Thanks so much, that is very helpful...I am going to get my regular size then :) Also...may I ask where did you get the suede grey boots on the left from the nighthawks? :) I love them. :) its standard here but takes a bit of getting used to - ie, having a room for a maid! Weird! bloody love your clothes rack as well, wish i had a room for all my stuff as well, it's every girl's dream! There is nothing wrong with Ikea'ing out a new place! I love that it is the same all over the world and very much made use of that and it's familiarity! London, Paris, Berlin & Shanghai - all of my places have looked the same, a home away from home! Love those rose gold heels! lovely to see your name in the comments :) hope you are well! Could you maybe do a room/apartment tour when you're settled? I was also wondering if you could give some of your favorite Tumblr links? I'm always on the lookout for new Tumblr's for inspiration. love your blog! That lilac crossbody is amazing! thanks Vivian - i just love looking at it. How sad! I agree! haha I love the pastel yellow they do - such a pretty shade! Can't wait to see your IKEA "showroom" it'll just add another room to the inspiration from IKEA haha! I really enjoy reading ur posts, closet room tour soon maybe ???? I really like your "merchandising" rack! pretty picks and such a great idea for getting more wear out of certain pieces. It's the 100 and it's not too bad to walk in at all. Much more comfy than the Simple! :) Can't wait to get it all set up! Hi Sara - good luck with the blog and will definitely check it out! Boo - thats the beauty of ikea. Cheap prices. I bet you live in a place where there are lovely antique/unique shops - sadly that's missing here! I have just moved flats too, so stressful! Love your inspiration rail, it's a great idea and looks so much better than how I currently house these sort of items...over a chair! I love all the beautiful colors on your rack! I really can't wait to see you wearing the clothes! thanks Martha! There are some lovely dresses I can't wait to wear! Omg where are those taupe booties all the way on the left from?? I've been looking for ones like those for forever! They are from Isabel Marant but ASH do a pair VERY similar. gaahhhhh i love your inspiration rack! i'm about to move apartments too in a couple months and definitely am thinking of doing the same thing too. also like how you included shoes as part of the inspiration - i always forget to wear shoes i have because i simply do not see them all lined up! Ikea meatballs! and their 50p hotdogs!! haha they literally have everything you will ever need. Ah, your new space is just going to be amazing - I love the inspiration rack. 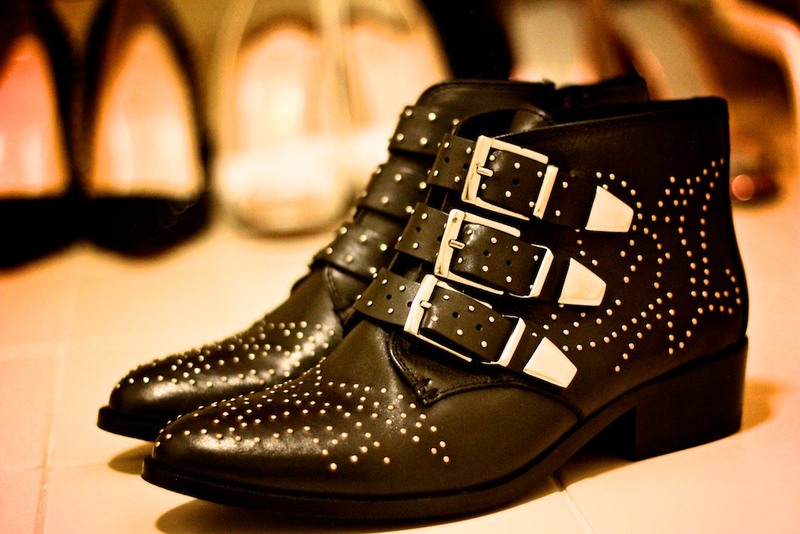 And I've been dying for some similar Chloe booties too... just love the studs. I may have to nick this idea too....? Love the idea of a merchanidise rack. I've a room ripe for conversion into a dressing room so I'll try and incorporate something like that. ooooooooooohhh can't wait to see what you've done with the place :)... Love those shoes, do they run true to size?? That is the most inspiring rail I have ever seen! Stunning stuff. Also great idea as I have tons of stuff forgotten about at the back of my wardrobe! Hello beautiful. I just discovered your blog. It's great I like is very stylish and you are very pretty :) You have a new follower. I invite you to know my blog. I hope your visit;) A big hug. PersonalStyle. I want a cambridge satchel, the lilac one is gorgeous! Studded joggers?! I need to find those in the States! The rack looks lovely and the joggers are awesome! This is a great idea. I also have that rack but since getting a new flat with built-in wardrobes it's been made redundant. May have to grab a bit of inspiration from this post and start doing something similar! Also, love those boots from office!! I've been eyeing a pair from newlook that look very similar! I saw those racks at Ikea and totally thought about it but I definitely do not have the space! Love the idea though. And nothing wrong with Ikea!! *cough* Thats what my place is decked out in! Your clothes display can really uplift ones mood. BTW I love the studded boots! I love the inspiration rack! I'm so doing it! I think everyone is having the same 'rail' idea. Im looking froward to decorating my new place. Look forward to seeing your photos. I love the inspiration rack! How often does it stay like that though...? 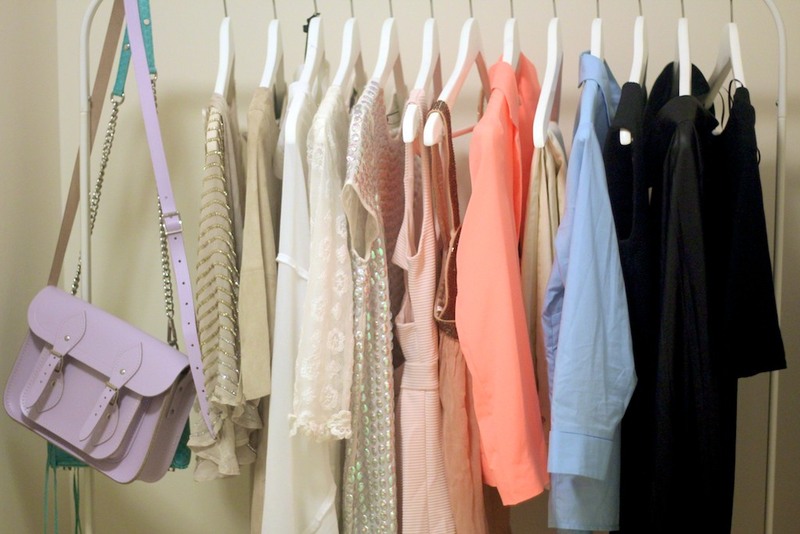 I have the same clothes rack! Just got it for a week or so and I must say I wouldn't mind spreading these things as universal furniture around the house :)) It is addictive, I tell you! One is never enough. Come check out "ItsMySpace" contest with IDdesign, you can win a designer sofa worth up to AED 20000, Find your style and win.